This is Part II of a two-part report looking inside Oregon's prison workforce. Part I explores whether prison jobs exploit inmates or provide them an opportunity. Cars in varying degrees of assembly fill up the automotive shop at Oregon State Penitentiary, from a classic Porsche to a 1965 Volvo. In the back of the shop is a small classroom. Inside, half a dozen men sit around tables, focused on the textbooks sprawled in front of them. But learning here goes well beyond the textbook. For many of the participants, the biggest lesson is how to work with others. They face challenges every day that require them to work as a team and communicate with one another. The two-year program is offered through Chemeketa Community College and gives students in-class and hands-on automotive experience. With the completion of general education classes offered through the college, participants of the automotive class can receive their associate degree in automotive technologies upon completion. 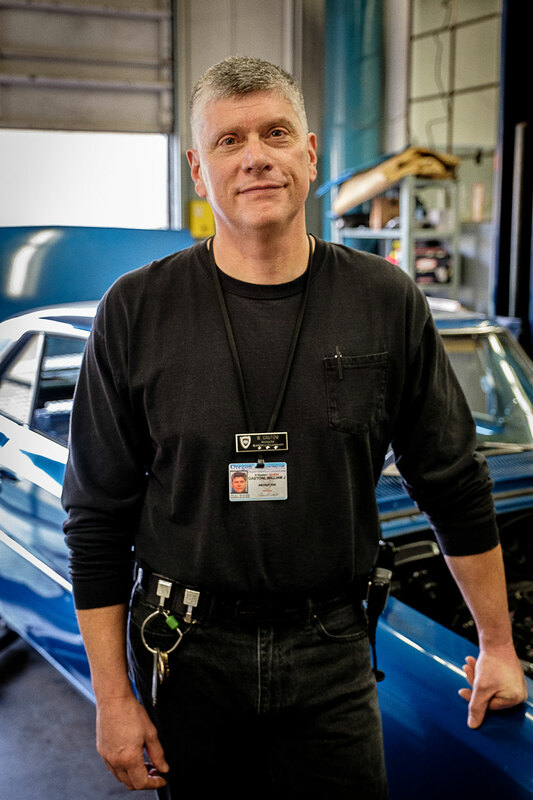 With the assistance of the Pell Pilot Program, many participants of the automotive program are now able to take their general education classes free of charge. This includes math and writing classes needed to earn the automotive technologies degree. The automotive program itself, while not covered by Pell, costs inmates $25 per term. Tucker said the small fee helps the participants feel as though they’re making an investment and makes them more likely to complete the degree. Bill Gastoni has been teaching the class for the past 14 years. Gastoni is proud of the success stories that have come out of his shop. His program boasts a recidivism rate of 2.5 percent and an average GPA of 3.8 for those who complete the program. Altogether, the recidivism rate for graduates of Chemeketa’s College Inside is 6 percent, compared with 24.6 percent of inmates in Oregon state prisons who are convicted of a felony within three years of being released. Inmate Kenneth Taylor, a recent graduate of the program, went right to work in the prison’s auto shop after finishing his curriculum. Some Salem residents pay the prison to have inmates repair their vehicles. Thanks to the program, Taylor now feels more hopeful about his future and the skills that he has gained. When we spoke with Taylor, he was only a month away from his release date and said he planned on using the skills he learned in the automotive class to pursue an engineering degree. Gerry Lee is partway through the program and credits it for helping turn his life around. He is scheduled to be released in 2019 and hopes to stay in the automotive shop until then. After dropping out of high school at age 16, Lee said he had to get used to the classroom setting again, but now feels more confident about leaving prison and finding a job. While Taylor and Lee are both dedicated to the program, Gastoni said that’s not the case for everyone. Oftentimes students don’t give it their all or their hearts aren’t in it, Gastoni said. Despite the program’s low recidivism rate, Taylor said that people don’t jump at the opportunity like one might expect. “A lot of people do not want to put in the work, and they do not want to let go of the constraint put on you out there and the mentality you have to have in order to be out there,” Taylor said. The kind of skills they learn in educational programs such as Gastoni’s are crucial to the success of these individuals once they’re released. There are the communication skills that help them work with others and the problem-solving skills that allow them to face problems head on. But more than anything, Gastoni said, is the process of learning that there are options besides criminal activity. “Once I get that through to them, then they get on the outside and go, ‘You know what? I can be a better person. I don’t need to go and steal or do crime. I can actually have a job, have an income and make a good living doing this,’” Gastoni said. The program has a 15-student capacity each year. Despite the praise that the program receives from past students, enrollment has been falling below expectations. The program currently has 12 second- and 10 first-year students. This is due in part to the nature of prison, said Gastoni. Inmates get in fights or have other issues that result in them being removed from the program, or are ineligible for it to begin with. Chemeketa also offers a Computer Assisted Drafting program at Santiam Correctional Institute, with the option of obtaining an associate degree. One of the most effective ways to prepare inmates for the outside is through education, according to a 2014 study conducted by the RAND Corporation. The study, which examined the effects of prison education programs, concluded that inmates were 13 percent more likely to get a job after being released if they had participated in some form of correctional education. The study also concluded that inmates who participated in educational programs were 43 percent less likely to experience reoffend within three years than those who didn’t participate. RELATED: How do we measure recidivism? Education assessment is one step in the initial intake process for all inmates. As of 2014, of those who entered prison without a high school diploma or equivalent, 67.1 percent were released having earned a GED. However, with a statewide prison population of nearly 15,000 inmates, education programs are few and far between. GED and adult basic education programs are standard fare at all 14 of Oregon’s correctional facilities. Beyond that, however, inmates are left with few options. Coffee Creek Correctional Facility, the state’s only women’s prison, offers the widest range of courses, including a hair salon and a barista training program. But at other facilities, there isn’t much available to provide inmates with an education that can help them succeed outside of prison. One of the biggest roadblocks to expanding education programs, as with many state-run programs, is adequate funding. It already costs Oregon $34,510 to house an inmate for a year, before adding in the cost of college education programs inside. Prior to 1994, many prisoners nationwide were eligible to receive Pell Grants to enroll in discounted college education programs while incarcerated. That changed when President Bill Clinton introduced the Violent Crime Control and Law Enforcement Act, which included a provision that barred anyone from receiving educational grants while in a penal institution. The Obama administration has taken steps in the past few months to reinstate Pell Grants as an option for inmates. The Second Chance Pell Pilot Program, which began in July, brings together colleges and prisons across the country to provide degree and certificate programs. According to the official notice from the U.S. Department of Education, the pilot program requires that participating institutions “only enroll students in postsecondary education and training programs that prepare them for high-demand occupations.” They must also be legally able to enter into said occupations or obtain any licenses or certifications despite their status as an ex-convict. The U.S. Department of Education estimates in the 2016-17 school year approximately 186 inmates at three Oregon correctional facilities will be eligible for these Pell Grants through Chemeketa Community College. 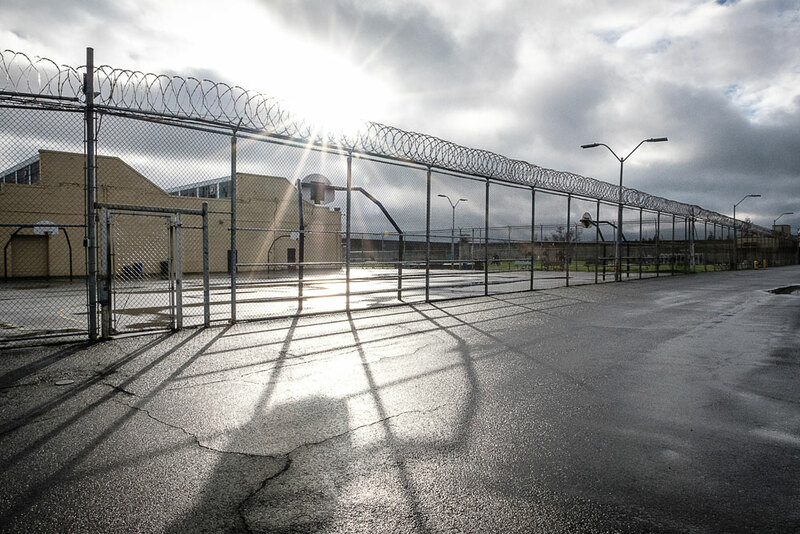 Oregon State Penitentiary, Oregon State Correctional Institution and Santiam Correctional Institution are the only prisons in Oregon that offer the program. In order to qualify for a Pell Grant, inmates must have one full year without any reported violent behavior or prison rule violation. At Chemeketa, the focus is on those who are within five years of being released. Some opponents of the program say it takes away from deserving students that aren’t incarcerated. Pell’s 2016 budget is more than $32 billion, and the Department of Education estimates that the funds needed for inmate Pell grants make up less than 0.1 percent of the entire budget. On the issue of money, Jonathan Tucker, Oregon Department of Corrections’ Salem-area education manager, refers back to the RAND study, which concluded that for every dollar spent on corrections education, taxpayers save $4 to $5. Tucker currently manages the education programs offered through Chemeketa Community College at Oregon State Penitentiary, Oregon State Correctional Institute and Santiam Correctional Institute. One of the biggest struggles has been finding adequate resources, Tucker said. While Chemeketa’s College Inside program is offered at three correctional facilities across Salem, all program organizing is done by a single person. “Pell is so great and it’s important symbolically, but really, until we put some money towards the actual department funding so we can have some part-time staff to come in and help, it actually makes it tougher,” Tucker said. If this pilot program runs successfully, Tucker hopes other institutions, both correctional and educational, will see the success of College Inside. “We want to make sure by the end of this pilot that we’re able to say we took in 71 Pell-eligible students, 71 graduated with degrees, and 69 of those 71 have not yet returned to prison,” Tucker said. Tucker and Gastoni are starting the new year with cautious optimism. With President-elect Donald Trump soon to be sworn into office, the future of the Pell Pilot Program is unclear. “We’re silently nervous and hopeful at the same time,” Tucker said. INSIDE OREGON'S PRISON WORKFORCE, PART I: Exploitation or opportunity? Inside Oregon’s prison workforce: Exploitation or opportunity? Oregon State Penitentiary in Salem. Are prisoners in Oregon exploited for corporate gains while making slave wages working menial jobs, or are they gaining skills that will help them succeed after their release? Part I: Exploitation or opportunity? Oregon’s prisoners work in four different capacities: for the Department of Corrections in jobs needed for a prison’s daily operation; in a variety of work-training programs; on DOC-run work crews; or for Oregon Corrections Enterprises, a semi-independent state agency created to put inmates to work. At Oregon State Penitentiary, entry-level workers in Oregon Corrections Enterprises' laundry facility earn about $70 to $80 a month — nowhere near minimum wage. But even if the Department of Corrections wanted to pay inmates minimum wage, it couldn’t afford it. Oregon’s prisons couldn’t operate without their underpaid inmate workers. Jamie Pierce, 40, said he worked various jobs, “anything from line server to scullery, which is washing dishes, to floor crew,” during the three times he’s been incarcerated. When asked if he gained any skills from these DOC jobs, he said, “Absolutely not.” However, that changed when he moved into management in the laundry facility. “I feel like if I was given that skill my first time, maybe I wouldn’t even be here this time,” he said.